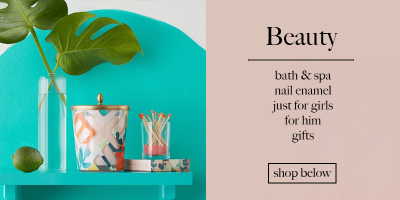 Fresh from the fragrance masters at Illume, Narrative bath and beauty products are sophisticated, feminine luxuries. 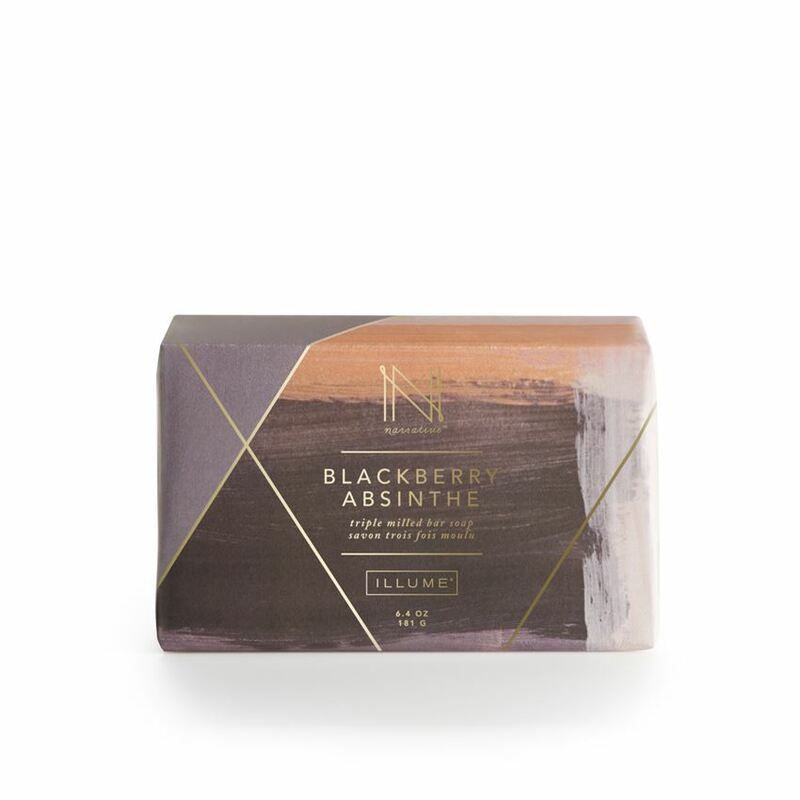 Each is crafted in Minnesota, where Illume combines their signature scents with beautiful packaging designed in-house. 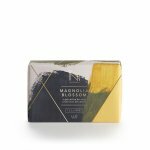 From lavish hand creams to triple-milled soaps to flora-inspired perfumes, their line is ready-made for gifting and indulging. 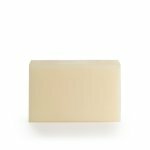 USE: SKIN CLEANSER - THIS TRIPLE MILLED SOAP LEAVES SKIN NOURISHED AND CLEAN WITH ITS SILKY SMOOTH TEXTURE! 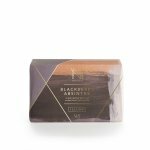 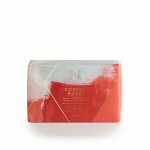 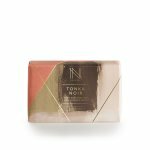 FILL WEIGHT: 6.4 OZ / 181 GRAMS DIMENSIONS: 3.625" x 1.375" x 2.25"
OVERVIEW: Wheat bran and apricot shells gently exfoliate in this French, triple-milled soap that will leave you feeling renewed and at ease.